MeMeMe is a brand that I hadn’t come across before until I recently discovered them on Twitter. I thought they were only available online but when I attended the Bristol Bloggers meetup I discovered they do also have concessions in some Superdrug stores. 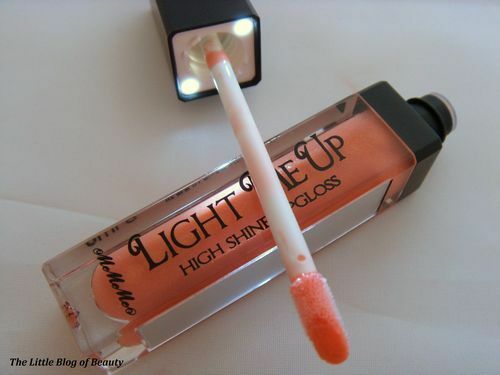 I won this lipgloss at the very beginning of the year but only just received it a couple of weeks ago! This didn’t come in a box and it doesn’t say the shade on the actual lipgloss so I’m not quite sure what shade this is. Looking at the colours on the website I can’t decide whether it’s Blaze or Lustre. The reason this is called ‘Light me up’ is because inside the lid there are two little LED lights. I don’t know exactly how it works but the lights come on as you unscrew the top and then turn off again when you screw it back on. These are actually surprisingly bright so you need to be careful not to shine them in your eyes. This also has a mirror on one side of the tube so it’s quick and simple to reapply when required, apparently even the dark! 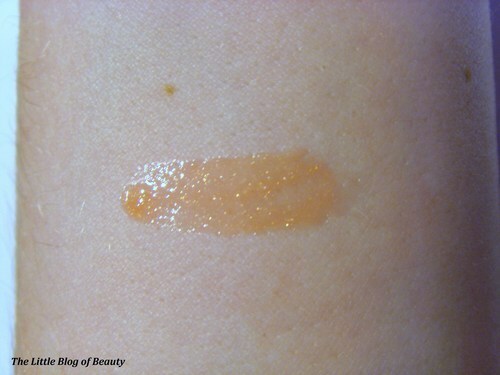 This has a standard doe foot applicator and is a peach colour with shimmer. 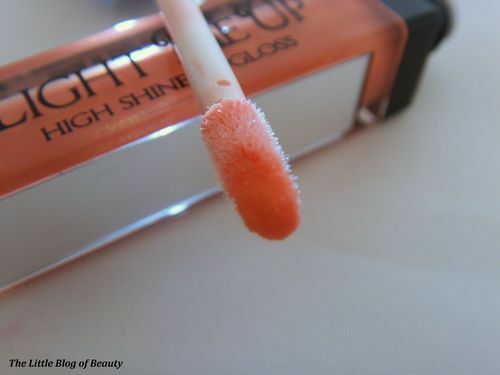 The gloss is a little sticky but not annoyingly so and I think most lipglosses have a little bit of stickiness to them. This lasts up to a couple of hours (I did eat lunch during this time) which I think is pretty standard for a gloss. 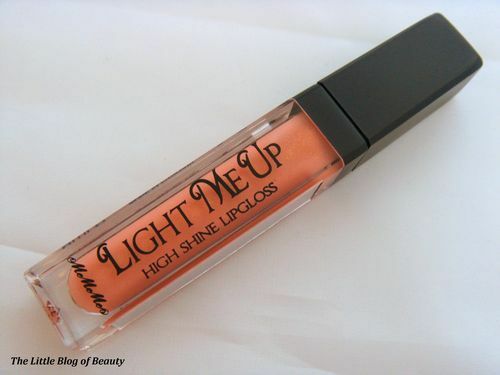 In general this is a nice little lipgloss. The light and mirror make it a little more unusual and handy for popping in your bag for quick touch up’s on a night out. 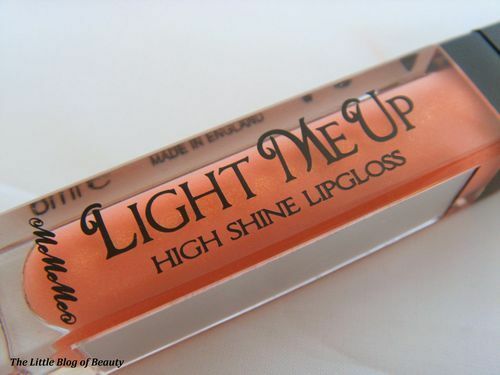 Light Me Up lipgloss is £6.99 and is available on the MeMeMe website and in Superdrug stores.